Rick Brewer is a wedding business expert who has been marketing and selling weddings and events for almost 24 years. He has worked one-on-one with almost 850 wedding businesses, and helped them achieve the next level in their success. Rick is in the unique position of working with all different types of wedding businesses, as well as those who market to wedding businesses. Rick is a highly sought after consultant and speaker who has spoken to over 260 wedding and event associations. He has written 21 specific courses on marketing and selling to brides, produced bridal shows, wedding magazines and more. Rick got his degree in Marketing and loves almost all things marketing. For Rick, teaching and coaching about selling and marketing isn’t a job, it is a passion. He has been known to be driving down the road and yelling at billboards that were worse than bad. Finding pathways for businesses through good marketing is something he loves. “We hired Rick and our business has changed tremendously. 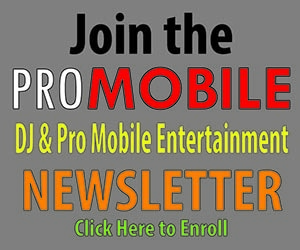 He is AMAZING!” – Randy & Stacie Carrol, tricitiesmobiledjs.com. Watch the video testimonial. Attention all DJs! Rick has created a special offer just for you at a whopping 60% discount! This includes several audio education products to help you with the advertising, sales and marketing of your wedding business. • Capturing the least expensive yet most effective forms of advertising to take your business to the next level.